The Los Angeles Mission and Anne Douglas Center for Women will honor its supporters at a gala event at the Four Seasons Hotel Los Angeles at Beverly Hills September 24, 2013. 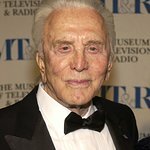 Special guests Anne and Kirk Douglas will present the 3rd “Anne Douglas Center for Women Award” for the outstanding work by an outstanding individual who has been actively involved in giving back to the community. This year’s honoree, Nick Cannon, will also host the event. Cannon is well known for “America’s Got Talent” and other television comedy programs. The recipient of the “Legacy of Giving Award” will be long-time Mission volunteer Judy Bork. Also expected at the event are Marilyn McCoo (Mission Board Member) and Billy Davis Jr., author and Board Member Dr. Henry Cloud, actor Jason Wahler and many others. Chef Ashley James of the Four Seasons Hotel Los Angeles at Beverly Hills will provide food for the pre-event reception as well as the meal for the evening. Mission graduates will tell their stories during the reception. Musical entertainment will be provided by the Rat Pack Band. WHEN: Tuesday September 24, 2013. The Mission has served the Skid Row since 1936 with food, clothing and shelter for the homeless community. This event will celebrate the organization’s years of service and raise funding for the continuing operation of the agency.